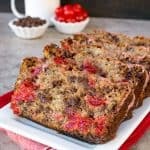 Adding chocolate and coffee is a fun way to jazz up banana bread. Starting the day with chocolate is sure to put a smile on your face for the day. 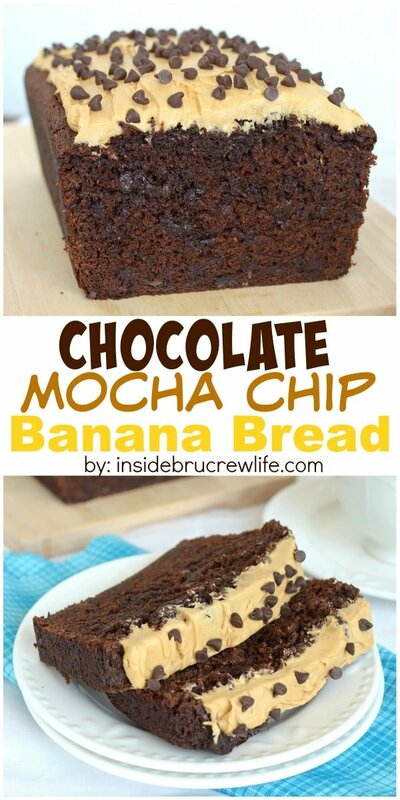 This Chocolate Mocha Chip Banana Bread is a new family favorite here. So far this year, I have been trying really hard to watch what I am eating. This means cutting out some extra sugar here and there. One way I starting cutting out extra sugar was in my daily coffee. Instead of pouring in the sugary goodness that is creamer, I started using some Stevia and powdered creamer. It was a big change for me, but I got used to it. After 2 months of doing this, my husband and I had a date night. We stopped for coffee and I ordered my usual drink. After cutting these out for so long, I was so excited to “splurge”. The only problem is that my tastebuds had adjusted. That drink was soooo sweet that I could hardly drink it. Who am I? To combat that coffee dilemma, I have been adding coffee to just about everything I have been making lately. There were some brown bananas on our counter, so I started thinking about making a chocolate banana bread. A little bit of coffee helps deepen the flavor of chocolate. And who doesn’t want their chocolate to taste better. If you don’t like coffee and you are worried about tasting the coffee, go ahead and leave it out. The bread will still be delicious! Now to take the chocolate banana bread totally over the top. Coffee Butter Cream!!! This coffee frosting is amazing! Like eat it with a spoon in a closet amazing! Wait for the bread to cool completely so your frosting doesn’t melt everywhere. Add some mini chocolate chips for a fun topping. Sprinkles would be so fun to have too! The bread was gone by that night, and they keep asking when I can bake another loaf. Woo hoo for a banana bread twist win!!!! 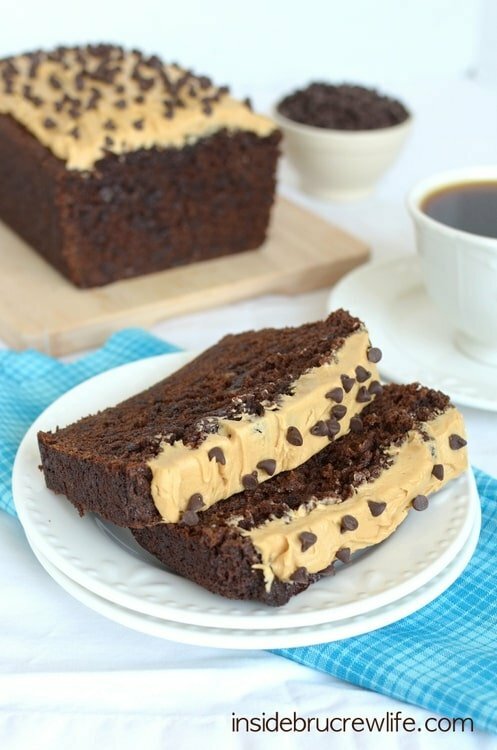 Chocolate and banana bread with a creamy coffee frosting makes breakfast that much more fun to eat. Beat the sugars and butter until creamy. Stir the instant coffee into the vanilla. Add the eggs, banana, yogurt, and coffee vanilla to the butter and beat again. Sift together the flour, cocoa powder, baking soda, and salt. Add it to the creamed mixture slowly. Do not over beat. Stir in the chocolate chips by hand gently. Spoon into a greased 9x5 pan. Bake at 350 degrees for 60 minutes. Remove from the oven and let cool in the pan for 15 minutes. Flip out and let cool completely. Dissolve the water and coffee together and beat into the butter. Slowly add the powdered sugar until creamy. Spread over the top of the cooled bread. Sprinkle with mini chocolate chips. Cut into slices. Store in a tightly sealed container. *You can leave the coffee out of the recipe if you do not like coffee flavored treats. 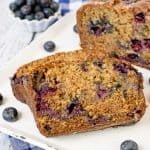 Your banana bread looks absolutely amazing! I’m a chocolate addict, so I would definitely love something like this. Great recipe! That bread looks amazing! So dark and rich, and that frosting? Awesome!! That is so awesome to hear!! 🙂 Thanks LuAnn! I made chocolate banana bread for the first time the other week and nearly died it was so good. I can totally see how adding coffee would be just great. This looks delicious! 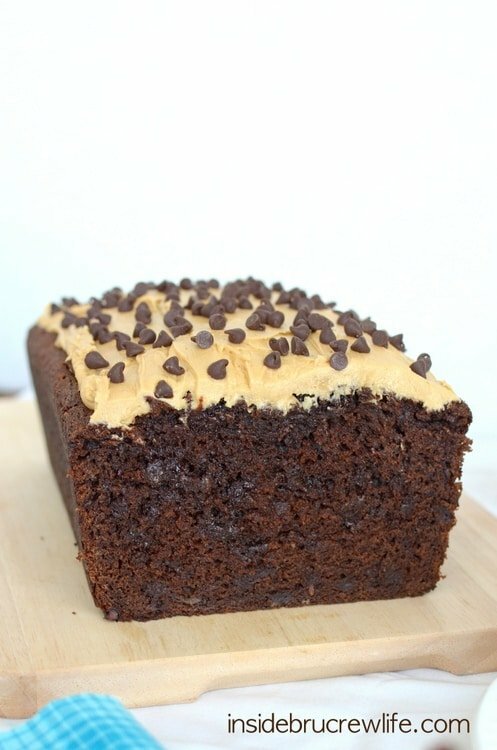 Chocolate banana bread would not last seconds on our counter. Looks awesome! 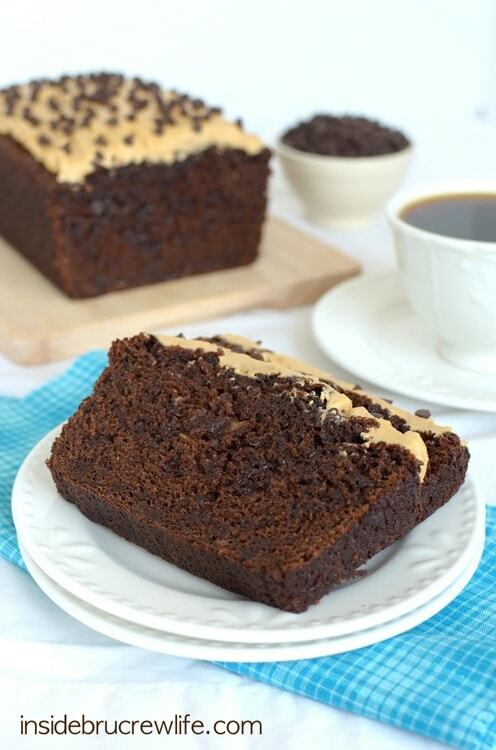 Not the biggest banana bread fan BUT chocolate and coffee make yours look simply irresistible! This is one of my favorites that you’ve posted! Coffee buttercream? Get out! And I love that bread, especially with the little bit of coffee. I’m a black coffee gal, so any bought drink is just too much! Thanks Mary Frances!! 🙂 I don’t know if I’ll ever be able to drink coffee black, but I have done better at reducing the amount of creamer I use! I love the mocha flavor added to this bread. 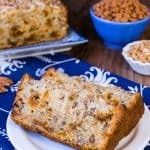 Makes it even better than regular banana bread. Pinned! I love this!! It’s the best banana bread I’ve ever seen. Perfect for breakfast! I love stevia. Do you buy vanilla flavored? 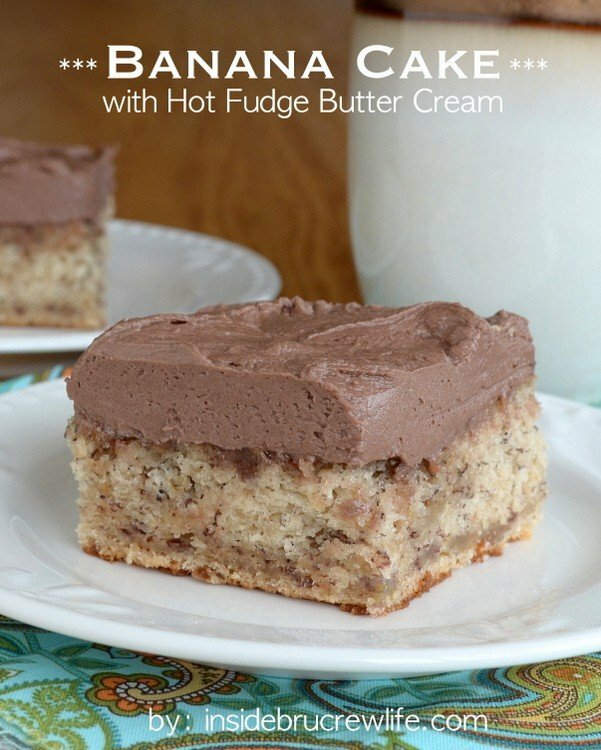 It might cut out the need for sugar and creamer–I think it’s soooo good! I even use it in tea. This bread looks divine! I want chocolate for breakfast! It was great to see you too! 🙂 Thanks Lisa! 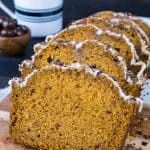 This bread sounds amazing with addition of coffee buttercream! What a huge coincidence. I decided to cut out the sugar in my coffee too. Finally made it to no sugar or sweetner at all. It took a about a month or so. So I can be rewarded with a slice of this delicious bread. It is calling my name. It was so nice to meet you this weekend. I thoroughly enjoyed listening to you speak at the conference. You have given me so much to think about. I love mocha in just about anything, I would definitley leave it IN! Some how I suspect my kids could eat the whole loaf in one night too. This bread is a keeper! 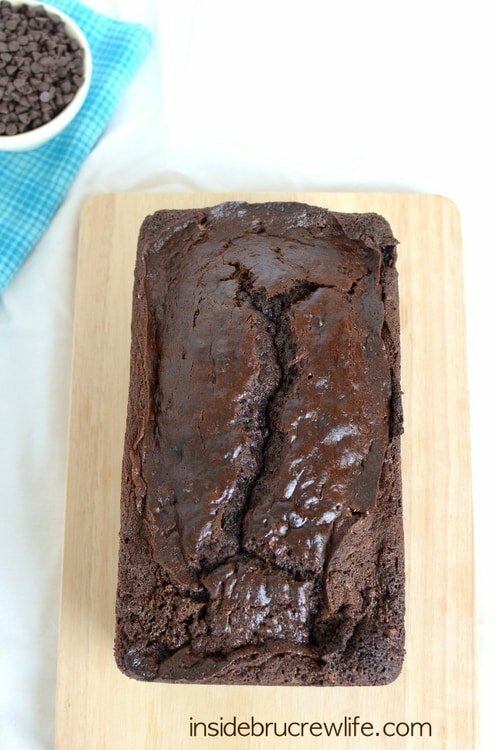 This chocolate banana bread looks like the perfect way to start a Monday morning! I used to love those sugary coffees years ago and now I can’t stand the sweetness! It really is funny how the taste buds change. 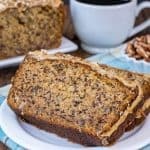 I’m a huge believer that where there’s chocolate, there’s coffee, so I love this banana bread! That coffee frosting would definitely put a smile on my face! Can you send over a loaf of this bread?! Looks so delicious! I love anything coffee so this is a must try! 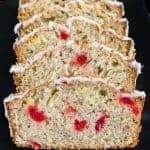 You are killing me with all these insanely delicious banana breads! I know where to come to whenever I am looking for a new twist on our favorite treat! Now this is what I call my kind of banana bread! So fun to meet you this weekend, Jocelyn! I am a huge fan of mocha! 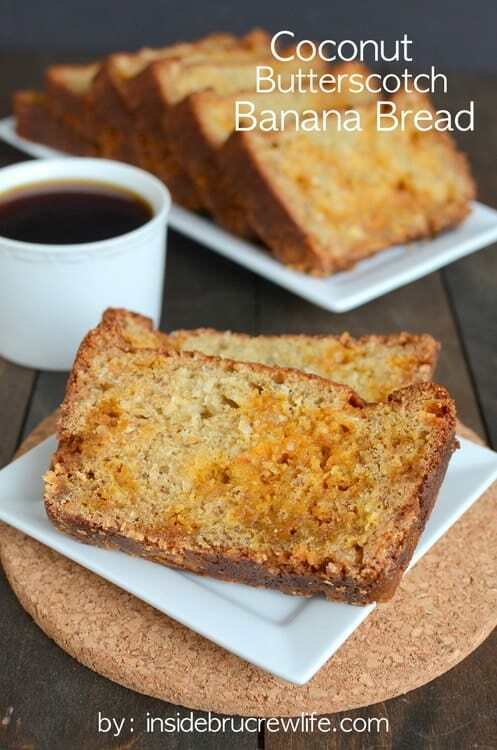 I’ve never thought to put it in banana bread–so creative and perfect. Can’t wait to give it a shot! It was great to meet you too, girl! 🙂 Thanks! Sorry, that reply above was meant for the girl who commented above you, stinkin computer! 😉 But thank YOU, Michelle! This bread looks so fluffy yet so dense and moist! I can’t resist coffee! I hear you on the coffee. I’ve cut way back from where I used to be. I still miss the sweetness, but I can totally tell the difference when it has more sweetener than what I usually put in. Loving this bread though. Pinned and can’t wait to try it! 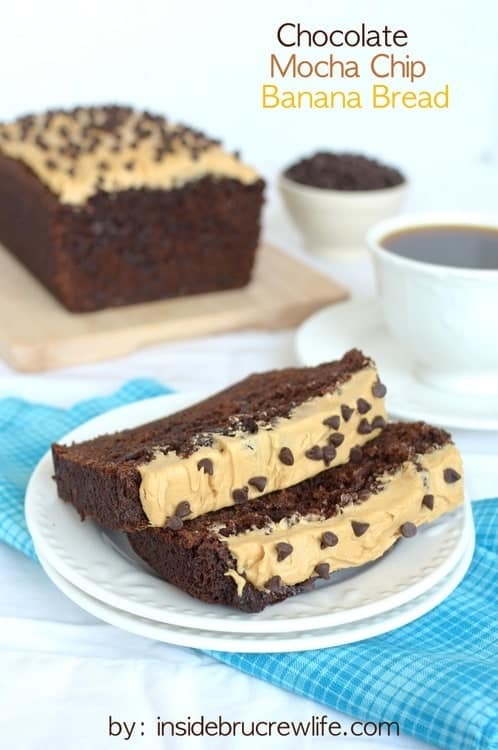 Love this chocolate banana bread and the coffee buttercream sounds amazing! I’ve been trying to cut out some sugar too but would not be able to resist a piece of this for sure! 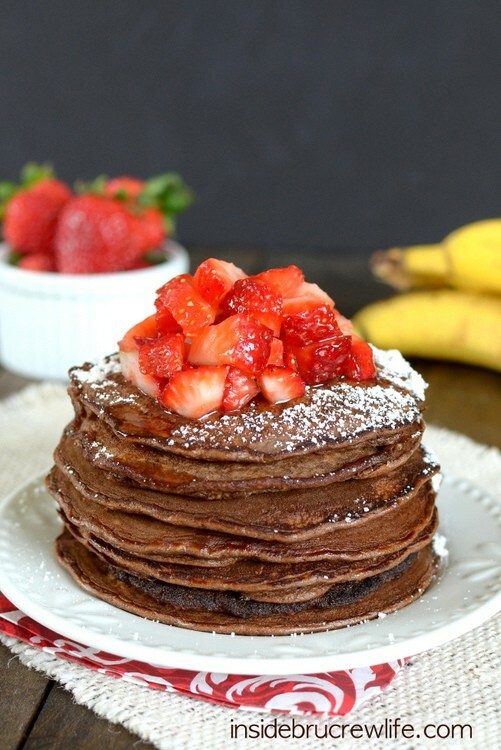 I love coffee in my chocolate baked dishes and the addition of banana sounds awesome! Pinned! Turned out great! I might have used a slightly bigger pan, but make sure to check your bread before 60 min. Mine only took 40! I also added some cool whip to make the icing go a little further! Yes, if you used a bigger pan that what I said in the recipe, it will bake faster.